This weekend was filled with one thing after another. We got to go to Amarillo for Amayah’s dance recital. We took Harper with us which made for a fun time for her and Amayah. It was a really good time as Amayah was in four different dances and did great. We took Harper home when we got back to town and then on Saturday morning we were chosen to keep Harper and Sutton for a few days while Daddy and Mommy got away. It will be a good time I am sure. But on Saturday we were giving water away at the Burnin’ the Bricks show downtown. It was a really good time and we were able to visit with so many people through the day. I’m not sure who all won the different giveaways or even who won the show, but there were some really nice cars and pickups on display. We were there to give away water. We set up on the corner and just tried to provide folks with free water as the day got hotter. Truth is many folks had brought their own waters and were taken care of, but some didn’t do that. We had some water just sitting on the table so people would see it, but had the rest iced down. 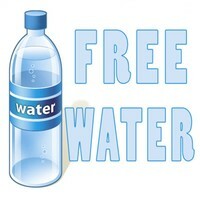 We had signs posted that said “Free Bottled Water” and we kept asking folks if they wanted any water. Some would stop and take one, but others would say that they already had some. While others would try to pay for it. 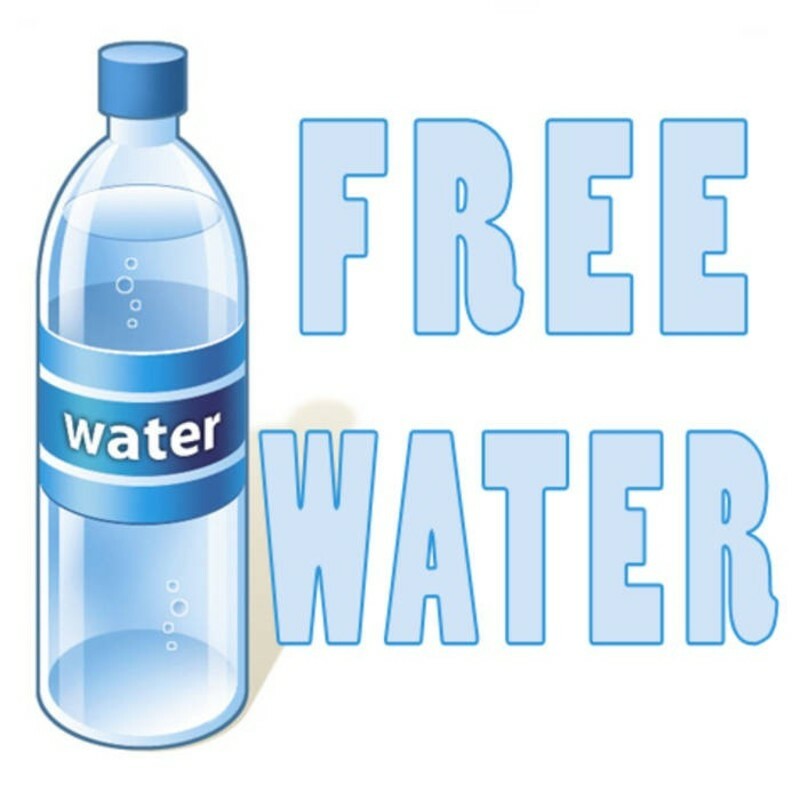 At one point, A couple of boys went by the stand and one of the guys asked them, “Do you want a bottle of water?” One boy said, “I don’t have any money.” Our guy said, “It is free!” The boy stopped, turned around and said, “Sure, I’ll take one.” It made me wonder what part of ‘free’ people didn’t understand. As I was thinking about it later something just hit me. It seems that there are so many that don’t believe that they don’t have to do something in order to be saved. It is hard for them to imagine that the sin in their lives can be forgiven through the blood of Jesus. When a person confesses their sin they can find forgiveness and be saved. That boy ‘confessed’ that he didn’t have any money. Our guy told him the water was free, he just had to take it. So the boy did. Salvation is free in that the price has already been paid for by our Lord and Savior as He died on the cross. On our own we can’t bring enough before Him to receive forgiveness for our sins, but when we come before Him and accept what He has done for us, we can take of the water of life freely. We gave away water on Saturday and had several come back for more. It would never totally take care of their thirst. Jesus shared with this woman that the water she was getting would need to be replenished, but the water He offered would ‘spring up to eternal life’. He will give of the water of life freely to all who will ask. There is no cost, just surrender your life to Him.